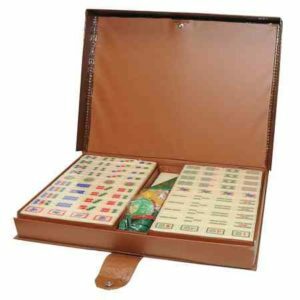 Includes our jewel color, FULL SIZE 16″ travel racks WITHOUT the brass ends. 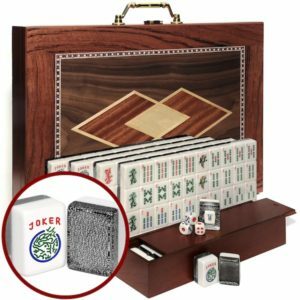 Tiles are 166 tile American set with jokers and blanks. 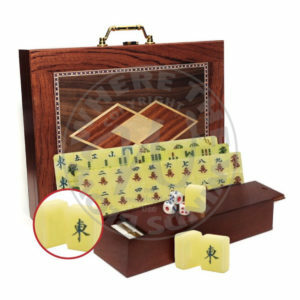 Tiles have the same size face but are much thinner than tournament sized American tiles – 1′ x 1/8′ x 1/2′. 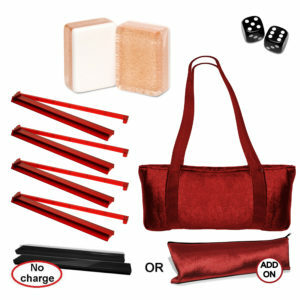 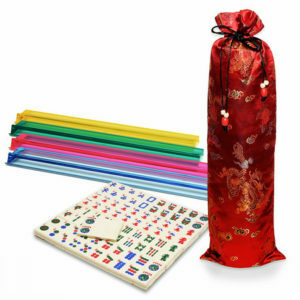 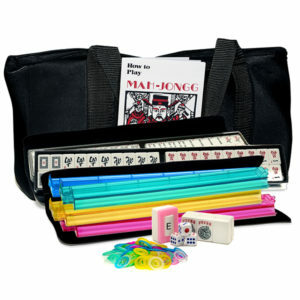 Play full size mah Jongg with half the weight of a regular set. 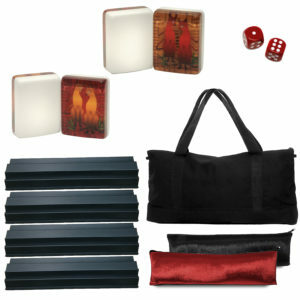 Entire set weighs just under 3 lbs. 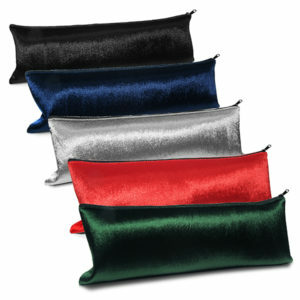 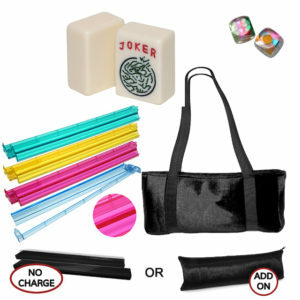 and fits in either the satin drawstring rack bag or upgrade to the velour zipper tile bag.